Rate Rules automatically determine an employees basic pay rate, based on their age or duration of employment. In most Awards each age group is entitled to a different pay rate. Once applied to individual employees the rule will automatically apply the correct rate based on the employees age or job. An employee over 20 years old is entitled to $20.50 per hr. When the employee turns 21, their pay rate will go up to $21.50. 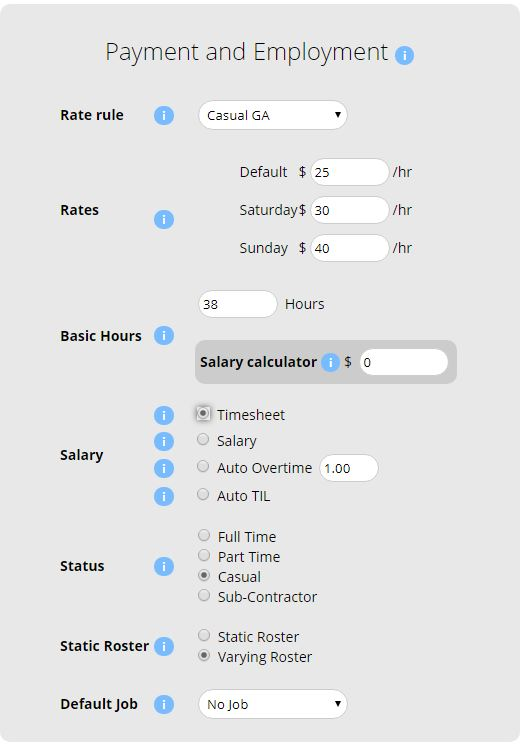 As soon as the employee has their birthday, the correct pay rate will automatically be applied. 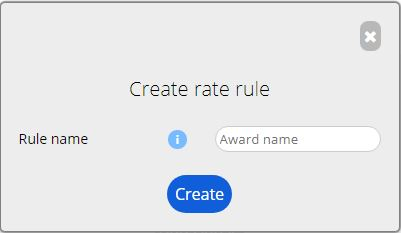 For example, we are creating a rule for Retail Award Level 1. 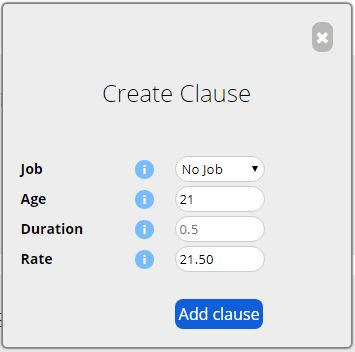 We then need to add a clause. In this example employees over 21 are entitled to $21.50 per hour. 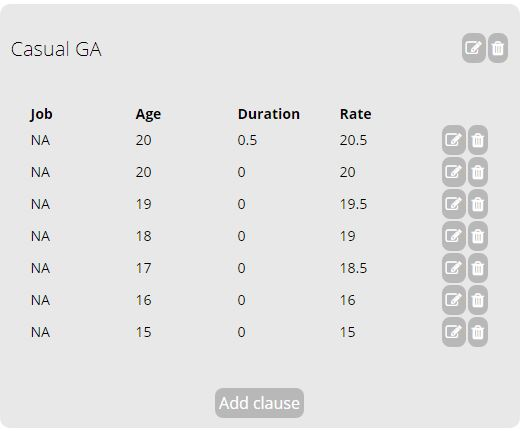 Each age group is entitled to a different pay rate so we add a different clause for each age bracket.